China’s long-term strategic and geopolitical interests in Myanmar remain the same while its tactics vary, depending on the political climate in its troubled neighbor. Much has been said and written about Daw Aung San Suu Kyi’s recent visit to China, and some commentators have even suggested that it may signal a shift in Beijing’s policy toward Myanmar—away from the government and toward a more favorable view of the pro-democracy opposition. It would be more accurate, however, to say that China’s long-term strategic and geopolitical interests in Myanmar remain the same while its tactics vary, depending on the political climate in its troubled neighbor. This became clear to me when, in June 2002, I had lunch with a senior adviser to Hu Jintao, the leader who later that year became Chinese president. It was a private meeting, so it would be unethical to mention his name, but I can relate the gist of our conversation without violating any trust or confidence. I wanted to hear his opinion on my theory about Beijing’s interests in Myanmar: that China’s landlocked provinces needed an outlet for exports through Myanmar territory in order for these regions to catch up with the then-rapidly developing coastal areas. Rail and road links to China’s own ports were too long, and those ports would in any case be clogged with export items produced in the coastal provinces. Disparity in the development between the coast and the vast hinterland could threaten China’s national security and internal stability. This was not a wild guess on my part. In fact, China made its intentions clear as early as 1985. In an article published in the official newsmagazine “Beijing Review” on September 2 of that year, Pan Qi, a former vice minister of communications, outlined the possibilities of finding such an outlet from Yunnan and Sichuan through Myanmar down to the Indian Ocean. The article mentioned the Myanmar railheads of Myitkyina and Lashio in the north and northeast, and the Ayeyarwaddy River, which flows through almost the entire length of the country, as possible conduits for Chinese exports. Therefore, I surmised, China was keen to maintain the status quo in Myanmar—friendly relations with the military junta. He didn’t specify what kind of potential conflict he was envisioning with the Americans, but it could have been an invasion of Taiwan. The United States is treaty-bound to defend Taiwan—also known as the Republic of China—but not even the most hardline hawks in the Pentagon would, in such an eventuality, consider lobbing missiles into Shanghai or Beijing. But blocking the Straits of Malacca to cut vital oil supplies to China would be an option. And he was right about the pipeline. In November 2008, China and Myanmar agreed to build a US$1.5 billion oil pipeline and a $1.04 billion natural gas pipeline along exactly the route this official had mentioned to me several years before. Our conversation took place shortly after East Timor had become independent, a prospect that few could have predicted 10 years before. In the spirit of this unexpected outcome, I asked: “What would you do if Daw Aung San Suu Kyi became the president of Myanmar?” (This, of course, was before the implementation of the 2008 constitution, which bars her from assuming the presidency). He gave me another amazing reply: “But we admire Daw Aung San Suu Kyi! We think she is a fantastic woman!” The conclusion was obvious: Beijing would not want to see any drastic changes in Myanmar, but if they occurred, the Chinese would adjust accordingly to protect their long-term interests. And that is exactly what is happening today. The Chinese do not want to put all their eggs in one basket. The government in Myanmar may or may not survive in its present shape and form, but the Chinese are prepared for all eventualities. This is not by any stretch of the imagination a policy shift. With its strategic location between South and Southeast Asia, and between the Chinese hinterland and the Bay of Bengal, Myanmar has long been important to China. Forget about empty Chinese talk about “non-interference” and “respect for Myanmar’s sovereignty.” That is pure nonsense. China has always interfered in Myanmar’s internal affairs and most probably always will. In the past it was to export world revolution; today it is trade and commerce. With a different emphasis, “the Myanmar corridor” remains of utmost importance to China’s policy makers. During the decade of 1968 to 78, the Chinese poured more aid into the Communist Party of Burma (CPB) than into any other communist movement outside Indochina. A new 20,000 square kilometer base area was established along the Chinese border in Myanmar’s northeast. Unlike the old CPB units, then mainly in the BagoYoma mountains north of Yangon, these new troops were equipped with modern Chinese assault rifles, machine-guns, anti-aircraft guns and mortars. Radio equipment, jeeps, trucks, petrol and even rice and other foodstuffs, cooking oil and kitchen utensils were sent across the frontier. The Chinese also built two small hydroelectric power stations inside the CPB’s new northeast base. 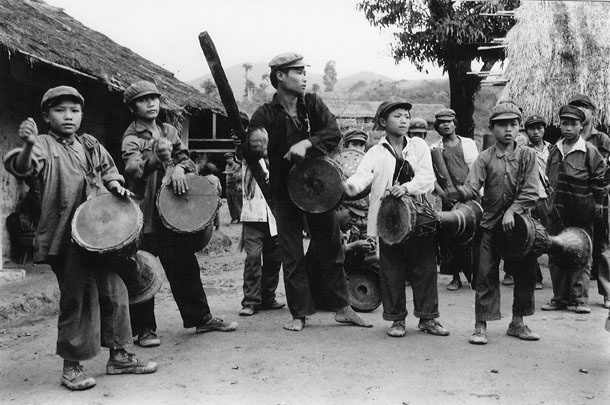 A clandestine radio station, “The People’s Voice of Burma,” began transmitting from the Yunnan side of the border in April 1971. It was later moved to the CPB’s headquarters at Panghsang inside Myanmar—now also the headquarters of its successor, the United Wa State Army (UWSA). Among the items China sent to the CPB was a truckload of newly printed, detailed contour maps of Myanmar. The plan was to push down from the northeast to the BagoYoma mountain range, and eventually capture Yangon. That failed, however, as government forces launched a major offensive against the CPB in the BagoYoma in 1975. 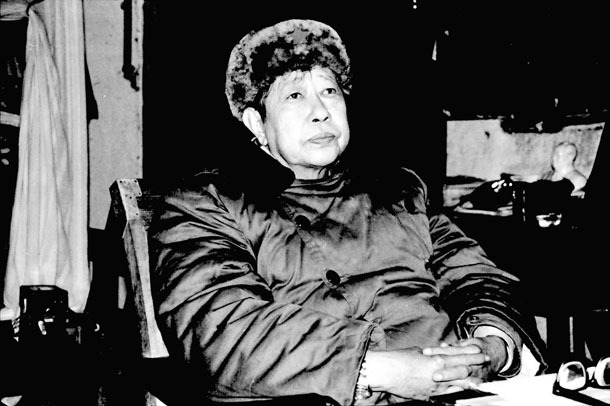 After the loss of other central base areas in the mid-1970s, the CPB became isolated in the northeast, far away from the Myanmar heartland, and nominated a new chairman, Thakin Ba Thein Tin, who had spent years in exile in China in the 1950s and 1960s. The area under its control was almost exclusively populated by various ethnic minorities such as the Wa, Kokang Chinese, Kachin, Akha and Lahu. Only the top leadership and most of the political commissars came from central Myanmar. Most Western scholars have suggested that China’s post-1968 support for the CPB was prompted by anti-Chinese riots in Yangon in June 1967. But it was not a knee-jerk reaction to those events. Preparations for the push into Myanmar began shortly after the military takeover in 1962. China had enjoyed cordial relations with the government that was overthrown, led by U Nu, and had little confidence in the new regime led by Gen. Ne Win. China also had grander plans for the entire region. It was going to export revolution to Southeast Asia, and the CPB was a vital link in that strategy. The CPB was, in turn, expected to link up with communist parties in Thailand, Malaysia, Indonesia and as far away as Australia. The 1967 anti-Chinese riots were merely an excuse for implementing a plan that had been drawn up years before by China’s intelligence chief, Kang Sheng, a master strategist who worked closely with Thakin Ba Thein Tin and other Southeast Asian communist leaders as well as Ted Hill, the chairman of a tiny pro-Chinese communist party in Australia. 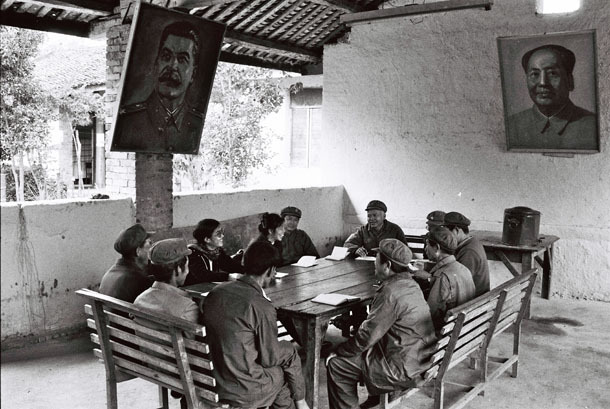 In March and April 1989, the hilltribe rank-and-file of the CPB’s army, tired of fighting for an ideology of which they understood very little, rose in mutiny against the party’s ageing Bamar leadership. Thakin Ba Thein Tin and the other party veterans fled across the border to China, where they were allowed to settle and retire—and eventually died. After the 1989 mutiny, the CPB broke up into four different armies, all based along ethnic lines. Of these, the UWSA was by far the most numerous and powerful. The 1989 mutiny actually suited China’s interests, and there are strong suggestions that China’s clandestine services actually encouraged the Wa and others to rise up against their Bamar bosses. Following the death of Mao Zedong in 1976 and Deng Xiaoping’s return to the political fold, China changed its policy towards the region. Now, the emphasis was on trade and economic expansion, not Maoist-style world revolution. In a desperate last attempt to save the party, Thakin Ba Thein Tin had in early 1989 decided to send a leading cadre to Laos, a Soviet ally, to contact Moscow. That was pure lunacy since the Soviet Union was then ruled by Mikhail Gorbachev, a reformer who would have no interest whatsoever in lending support to the CPB. In any event, the mutiny broke out before the CPB emissary could reach Laos, so even he had to escape to China. 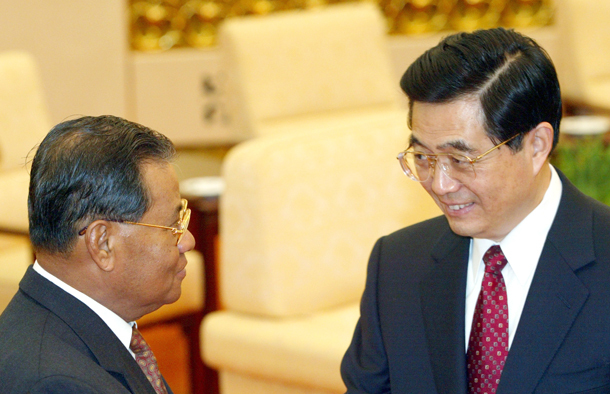 But Beijing was not going to give up the secure position it had cultivated inside Myanmar since the late 1960s. In May 1989, the UWSA entered into a ceasefire agreement with the Myanmar government, which, on the one hand, suited China’s new commercial interests. But it was also imperative to strengthen the UWSA. After all, the Chinese had had a long-standing relationship with most of the leaders of the UWSA, dating back to their CPB days. “The acquisition of helicopters marks the latest step in a significant upgrade for the UWSA, which has emerged as the largest and best-equipped non-state military force in Asia and, arguably, the world,” the journal wrote. The UWSA today is better armed than the CPB ever was. It can field at least 20,000 well-equipped troops apart from thousands of village militiamen and other supportive forces. Moreover, the top leaders of the UWSA are usually accompanied by Chinese intelligence officers who provide advice and guidance. So what is China up to? Why this arming of a non-state military force at the same time as Beijing has had cordial relations with the Myanmar government since it abandoned its policy of supporting communist insurrections in the region? It is no doubt a way of putting pressure on Myanmar at a time when its relations with the United States are improving. As China sees it, it cannot afford to “lose” Myanmar to the West. A strong UWSA provides China with a strategic advantage and is also a bargaining chip in negotiations with Naypyidaw. By “the communists” he clearly meant the UWSA and its allies, among them the Myanmar National Democratic Alliance Army (MNDAA) in Kokang, another former CPB force, which resorted to armed struggle in February this year. China, predictably, has denied any involvement in that conflict, but the fact remains that most of the MNDAA’s weaponry and vast quantities of ammunition have been supplied by the UWSA. According to one well-placed source, China is indirectly “teaching the Myanmar government a lesson in Kokang: move too much to the West, and this can happen.” At the same time, China is playing another “softer” card by being actively involved in so-called “peace talks” between the Myanmar government and the country’s multitude of ethnic rebel armies. Whether China wants to export revolution or expand and protect commercial interests, it apparently feels that it needs to have a solid foothold inside Myanmar. There is no better and more loyal ally in this regard than the UWSA and its affiliates.